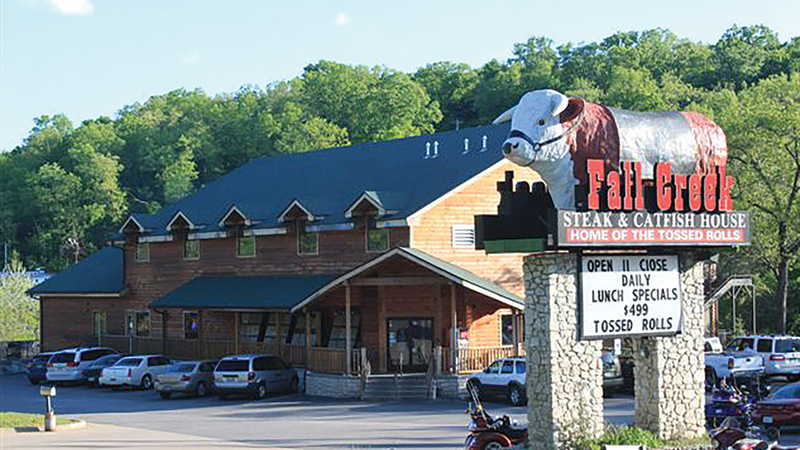 Show this coupon and save at Fall Creek Steakhouse in Branson! Tap coupon to enlarge. 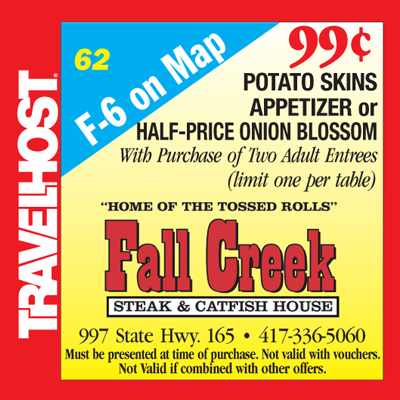 “Fall Creek Steak & Catfish House” is Branson’s home of the tossed rolls! Watch as they come flying through the air, these melt in your mouth, freshed baked rolls of bread heaven! There’s an extensive menu featuring steak, chicken, barbecue, and much more, but they’re well known for their hand-breaded, deep fried catfish. Yummy! Save some room for dessert! And, save a few minutes to browse their gift shop for that special sourvenir of your visit to Branson. “Fall Creek Steak & Catfish House;” a great place for that home-cooked taste!